As we head into the third Test between the Springboks and the visiting England team, we already know that the series has been won by South Africa, which gives the home side an opportunity to relax and have some fun, make changes, experiment a bit, try combinations, and generally use the final Test as something of a serious practice match. The pressure is off as far as Rassie Erasmus and his young Springboks are concerned. England, on the other hand, are desperate. Media pressure has ramped up as questions are asked about Eddie Jones and his training methods. His focus on aggression, aggression, and more aggression is questioned. His team selections and his tactics are questioned too. He is feeling the opposite to the love that was showered on his head during England’s 18-match winning streak. Now Eddie is feeling the heat. Eddie says he enjoys the heat, he has spoken of “pulling knives from my back” and the like. We also know that Eddie thrives on antagonism and hostility. He likes to goad his opponents, he likes to get under the skin of the opposition, and he likes to get some kind of mental, psychological advantage over everyone else. That is Eddie. He cultivates the “no one likes us and we don’t care” mentality. But he does seem to have reached some kind of edge of his own. A personal precipice? He was remarkably testy when he objected to Radio Five Live reporter Chris Jones’ “aggressive” line of questioning. He repeatedly accused Chris Jones of being aggressive during the interview, which was broadcast live by the BBC. It is not only Eddie that is feeling the heat. Most of the players have kept a pretty low profile during the last couple of days, although Joe Launchbury has said that the team is “desperate to put the record straight this weekend” as they head down to Cape Town and Newlands. Whilst the teams prepare for the final Test at Newlands, perhaps it is good to analyse some of the statistics and issues identified during the first two Tests. Aggression, Aggression and more Aggression. We know that Eddie Jones’ mantra is “aggression” – He demands it of his players, he speaks of it at every turn. After the defeat to Scotland that started England’s current downward spiral, back in February, Jones demanded his side be even more “brutal and aggressive” against their next opponents, France. Every loss, ever setback seems to create an even more pugnacious reaction. That aggression needs to be focussed and strictly controlled within the Laws of the game. Wayward, misguided and uncontrolled aggression? No! During the first two Tests there have been enough incidents of aggression crossing the line between what is acceptable and what is not. Think of the penalties for late tackles, the off-the-ball incidents, the face slapping and attempts to kick, the barging and bumping. That is not aggression, that is foul play, and it distracts the team’s focus. Think of Owen Farrell and his overly aggressive attitude in Bloemfontein. Yelling into his face is simply not the right way to approach M.Poite, who already had some history with Jones’ England . Discipline has to be at the centre of any playing culture, and England do not seem to have it, either on or off the field at the present time. On the field, they have conceded an average of four penalties more than their opponents per game over their five-match losing streak, and yellow cards in a ratio of 4:1 in the same period. Put pressure on England, and they will get more aggressive – too aggressive for their own good. Eddie’s focus on aggression is causing problems within his own team. In the two tests to date, the real difference between the two teams has been in their differing ability to maintain momentum. Both teams have carried the ball more than usual. In the first Test South Africa carried the ball 95 times, making 512 meters with the ball in hand. England carried the ball 84 times for 400 meters. In the second Test England carried the ball 87 times for 492 meters, while South Africa carried it 89 times for 674 meters. The Springboks were some ten per cent more effective at crossing the gainline, with big carriers running hard lines. Over the two Tests, South Africa made an average of 6,45 m per carry, compared to England’s 5,22 m per carry. That is more than 1,2 meters further per carry. During the two Tests the Springboks have made a 9 tackle busts to just a single one by England. Add in the 14-4 offload advantage by the Boks, and you begin to see the difference between the two teams and their ball-carrying momentum. That is a perfect summary of the defensive efforts of the two teams in the first two Tests. Both sides tackled at a significantly high tackle completion rate in Johannesburg and Bloemfontein: 93,5% for the Springboks, and 93% for England. When the tackle completion rates are that similar we need to look one step further to see what the difference has been between the two teams. Counting the tackles rated as dominant, over the two Tests the score is 18-2 for South Africa. Think of the tackles on the likes of Billy Vunipola, his brother Mako, and the massive one on Brad Shields in the last Test. None of these players are used to being carried back in the tackle, yet the Springboks did that to them! Many of the biggest hits are made by Bok front-rowers, lock forwards, and the loosies. Add in the immense hits put in by the likes of Damian de Allende at the back, and it becomes clear where the difference between the two teams has been. The modern game has evolved to a point where the defensive line speed of a team is an integral part of their game plan. Referees are constantly tested, and often found wanting, as teams launch their defences at opponents, with split-second timing, off the base of rucks, scrums and mauls. It is interesting to note that the Springbok backline has been pinged five times for being offside on defence, England not once! The problem is that the referees never even had to wonder if England was offside, their line-speed was simply too slow for that to happen! This meant that Faf de Klerk had an extra yard or two at his disposal, Handre Pollard could take the ball flat, and then throw hard and long passes to runners, while Willie le Roux had all the time in the world to find the blindside channels or just ghost into the line and create space for his wings. Sometimes, no penalties can be a bad thing. A big difference between the two teams has been the focus on chasing tactical kicks. Despite South Africa’s reputation for weakness under the high ball in the wider channels, England have not really tested this area much. They did start with a kicking game in the 2nd Test, but it was not done with any real focus. England have kicked the ball further than South Africa at an average of 32,4m per kick versus 23,4m, but very few kicks were chased and contested. The Springboks have been far more competitive on the kick-chase, with both Faf de Klerk’s box kicks and Pollard’s speculative corner kicks being chased and chased. The South Africans have competed, and sometimes won the ball back from de Klerk’s box kicks or have tackled or rucked the isolated catcher on the longer kicks. In contrast the Springboks, through the wings, Duane Vermeulen, Handré Pollard or Willie le Roux have counterattacked with received ball on more occasions than is worth counting. Willie le Roux has kicked only three times in two Tests. 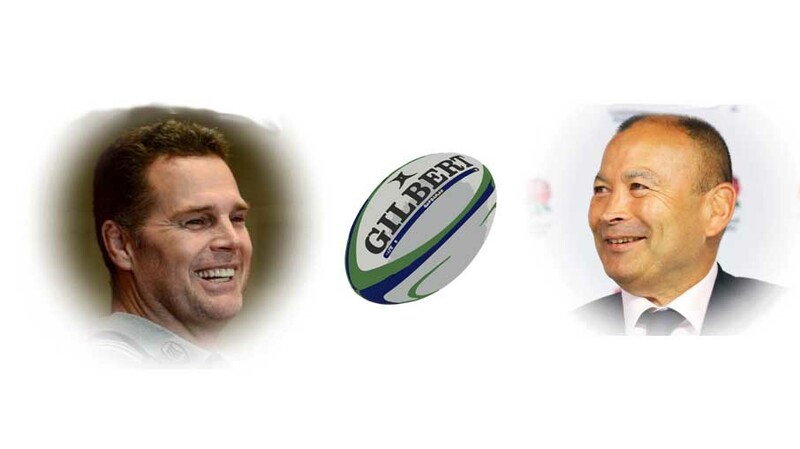 When South Africa unleash Steven Kitshoff and Thomas du Toit, England have been in trouble. They have brought real quality into the game just as the England legs are starting to wobble. The starting front rowers sap their energy, and the finishers do just that, finish England off. England coughed up a scrum penalty try. and it could have been two. England have been unable to match or counter the South African forward bench. England have somehow contrived to drop the ball on 10 per cent of their carries, depending on the different stats sources. Yes, Damian de Allende has dropped or been stripped of a couple, but he has made up for those mistakes with some huge carries, a couple of tackle bursts, and even bigger tackles. 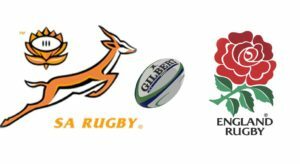 Both sides have made almost an identical number of handling errors – South Africa 19, England 20, but it is the impact of the handling errors that illustrates the difference between the two teams. When South Africa has made a mistake, England have not been able to capitalise, the home side has worked quickly and accurately to secure the dropped ball and prevent advantage accruing. When England have dropped the ball South Africa have been very quick to attack the ball, either by attempting to secure it, or by kicking it through to halt England’s progress and turn the momentum the other way. And then there is the question of fatigue. Wilco Louw’s desperate eyes in the first Test told a story. He has carried an immense workload for his Super franchise all season. Playing for the Stormers game after game, and then starting in Washington for the Springboks, and then again in Johannesburg, and it was obvious that the young man’s tank was empty. He was rested in Bloemfontein, and I am sure he was secretly very happy to have a week off. The England team have come off a very long season. Many of their players have been playing rugby since this time last year when they were involved in the British & Irish Lions tour to New Zealand. The Premiership is no joke either, interspersed with the Six Nations and a couple of other European competitions, and now a tour of South Africa. Add in the much-maligned but still hugely demanding coaching methods of the Eddie Jones system, and some of the players are close to being out on their feet. I, for one, am not surprised that England are struggling. Will they be able to focus on the problems I have pointed out here, and will they be able to fix them before taking the field on Saturday at Newlands? And finally, will they be able to overcome the monster that is fatigue? Previous articleMike Brown A Bit Miffed!